FIAT LUX only officially released thirteen songs in their original recorded career and none were ever released in CD format, save two of their early tracks for the 1989 ‘Cocteau Signature Tunes’ compilation issued in North America. But after many years, that has now been put to rights with the Cherry Red collection ‘Hired History Plus’ which brings together the criminally underrated trio’s entire recorded output for Polydor Records and their unreleased debut album ‘Ark Of Embers’ which had been slated for public consumption in 1985. 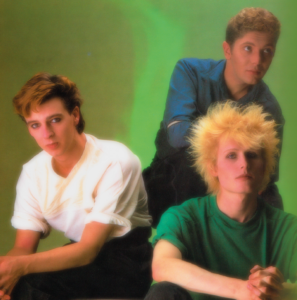 FIAT LUX were one of the most promising of the new synthesizer based acts that emerged following the success of DEPECHE MODE and SOFT CELL. Hailing from Wakefield, founder members Steve Wright and David Crickmore were later joined by Ian Nelson, brother of Bill who had independently produced FIAT LUX’s early works for his Cocteau Records. Signing to Polydor Records, in 1984 the label issued a six track EP ‘Hired History’ containing their three singles to date plus their corresponding B-sides. Produced by Hugh Jones, who had worked with SIMPLE MINDS, THE TEARDROP EXPLODES and ECHO & THE BUNNYMEN, ’Hired History’ was intended as a stop-gap before FIAT LUX’s debut album was completed, but it turned out to be the only thing close to a long form release by the band until 2019. But thirty five years after the event, the tracks which comprised ‘Hired History’ still stand up. Beginning with the singles, ‘Secrets’ was a beautifully haunting ballad was bolstered by what appeared to be a violin solo but was actually a Yamaha CS80 played by Mike Timoney. Initially released earlier, ‘Photography’ was less immediate, but the vocal interplay between Wright’s croon and Crickmore’s repeat staccato harmony was a dreamboat delight while the climax was aided by a bursting lift from Nelson’s sax. The magnificent ‘Blue Emotion’ was an observation on the disturbing militarism that had risen in the wake of the Falklands war and the embracement of Thatcherism. Shaped by fabulous sweeping ‘2001: A Space Odyssey’ derived MemoryMoog theme from Ian Nelson along with a wonderful Vox Matrimonium by Wright and Crickmore, the political sentiment however limited radio play and the song failed to be a Top40 hit. The B-sides reflected FIAT LUX’s more theatrical side; ‘Sleepless Nightmare’ in particular sounded like Bertolt Brecht gone electro. Meanwhile the funky ‘Aqua Vitae’ sounded like something from GARY NUMAN’s ‘Warriors’ album. Of course, ‘Hired History’ only had six tracks so its release has been bolstered by a selection of bonus tracks, most notably ‘Feels Like Winter Again’ and ‘This Illness’ which were produced by Bill Nelson. ‘Feels Like Winter Again’ was and still is a musical triumph, driven by a resonant drum machine, with a chilling mix of synth and treated guitar over an electronic pulse, Wright’s sombre and ambiguous tale of broken love affairs made a resigned emotive statement. 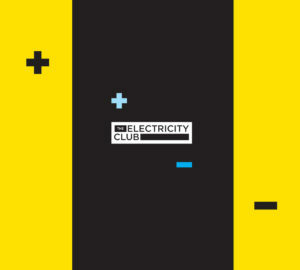 ‘This Illness’ was more moody and featured Bill Nelson’s distinctive E-bowed infinite guitar alongside some sparkling synth work. 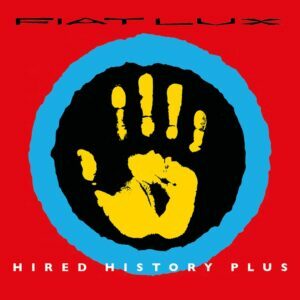 Also included on ‘Hired History Plus’ is the disappointing ‘House Of Thorns’ originally released in 1984 which saw FIAT LUX losing momentum. But with still no hit singles, the debut album that was being worked on was shelved by Polydor. Disillusioned, Crickmore departed FIAT LUX before Wright and Nelson quietly disbanded altogether. Ian Nelson sadly passed away in 2006 but a few years later with the accessibility of the internet, a number of music bloggers were offering a FIAT LUX compilation entitled ‘Fact Ut Vivas’ for free download… this turned out to largely be what had been intended to be the trio’s debut album for Polydor. Now titled ‘Ark Of Embers’ thanks to the remaining duo of Wright and Crickmore uncovering paperwork confirming this had been the long player’s intended title, the fully restored and properly mastered collection is impressive, even without including the three Polydor singles ‘Photography’, ‘Secrets’ and ‘Blue Emotion’. Quite what Polydor was thinking in not even taking a chance with the release of a FIAT LUX album when Colin Verncombe’s BLACK were making waves with the original independently released version of ‘Wonderful Life’ is something of a mystery. Interestingly, the opening song on ‘Ark Of Embers’, ‘The Moment’ possesses the atmospheric air of BLACK. It is then followed by the brooding uptempo North European melancholy of ‘Breaking The Boundary’, a song easily as good as BLACK’s ‘Everything’s Coming Up Roses’. Always keen to combine electronics with real instruments such as sax, marimbas, drums, bass and guitars, ‘Embers’ is something of a distant cousin of PINK FLOYD’s ‘Wish You Were Here’. But ‘Ark Of Embers’ isn’t just about moods, as the groovy Roxy flavoured artrock of ‘No More Proud’ showed, while ‘Splurge’ offered a bizarre textural mix of chattering tablas over screeching guitar and a gothic disco backbone. Led by dreamy sax, ‘In The Heat Of The Night’ is a marvellous slice of emotive pop reminiscent of CHINA CRISIS, with additional clarinet providing atmospheric resonance to the sonic balance. 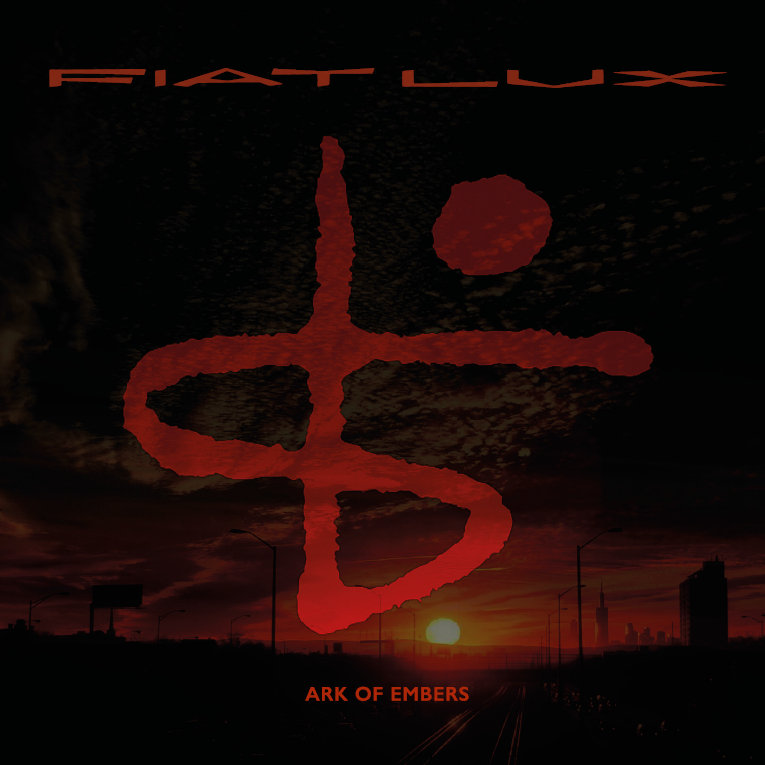 Closing with the brilliantly filmic synthpop of ‘Solitary Lovers’, ‘Ark Of Embers’ would have been an impressive debut long player demonstrating FIAT LUX’s instrumental versatility and diversity. Although also reprising the imperial Polydor singles trilogy in its tracklist, this is a new album to most, and damn fine it is too. Among the other extras on the ‘Hired History Plus’ package are various 12 inch extended mixes, the original Bill Nelson version of ‘Photography’ which had been rejected by Polydor and a cover of the traditional South West English folk standard ‘Sally Free & Easy’ written by Cyril Tawney. Arranged with a cacophony of voice samples like Philip Glass, it was a track which had only previously been available in Germany that Wright usually sang in the studio for Jones to set up levels and EQ. ‘Hired History Plus’ with its accompanying bonus of ‘Ark Of Embers’ is a belated but very welcome vindication of the talents of Steve Wright, David P Crickmore and Ian Nelson. A definitive collection with expansive booklet notes featuring commentary by Wright and Crickmore, the package represents exactly what was and is still brilliant about FIAT LUX.